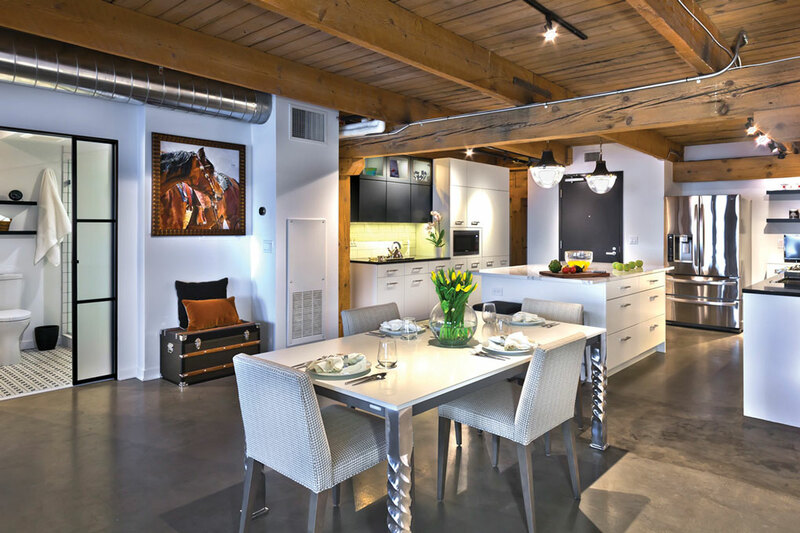 Partners 4 Design transformed this Security Warehouse Lofts unit from dark and cramped to open and modern. The P4D team used natural wood tones, pops of bright white, and black accent tones to create a modern, industrial space. Dropped ceilings were removed to expose the historic wooden ceilings, and misplaced walls were opened to reveal stunning views of downtown Minneapolis.